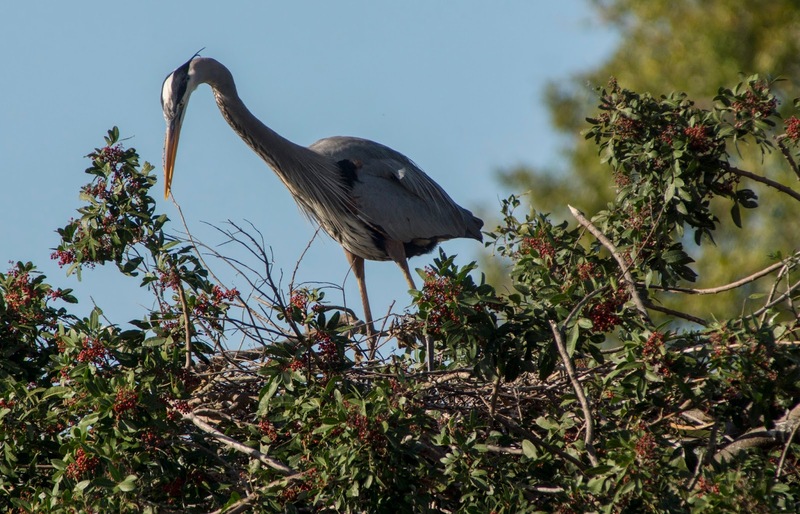 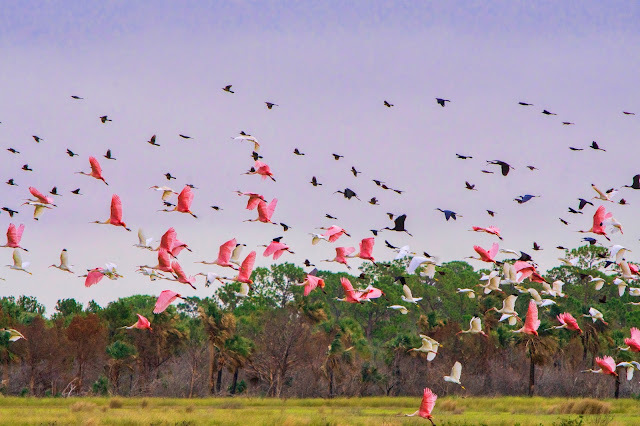 There wasn't too much nesting activity yet at the venice rookery. I think I heard some baby great blue herons, but couldn't find them. 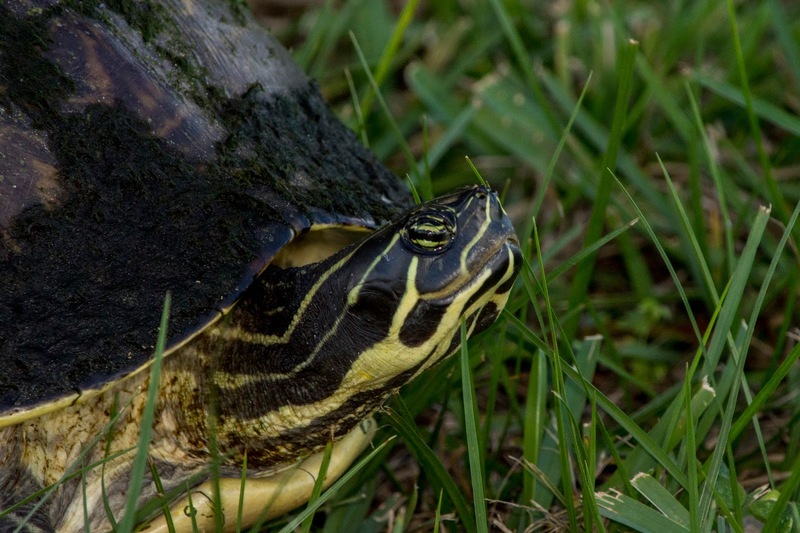 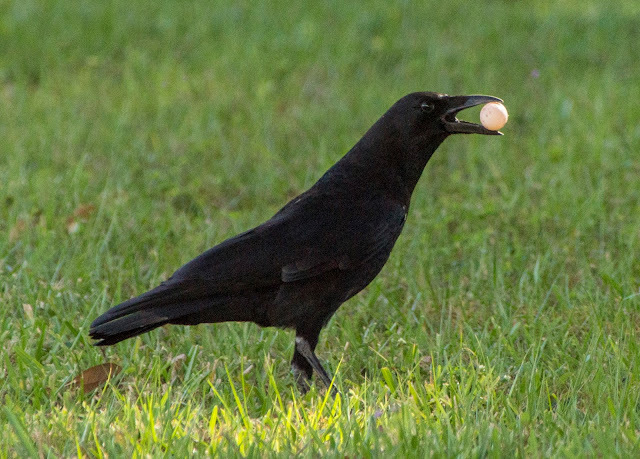 Still glad I stopped because I got some interesting photos of two crows digging up a yellow-bellied slider nest. 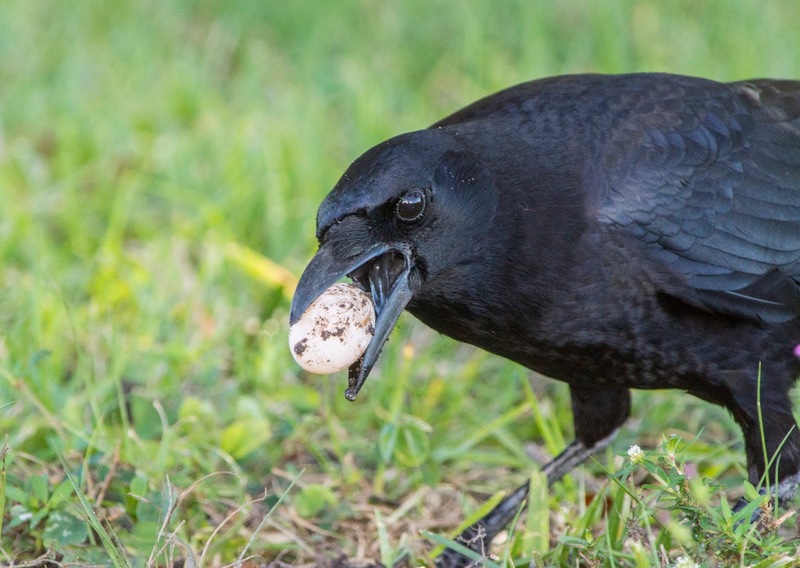 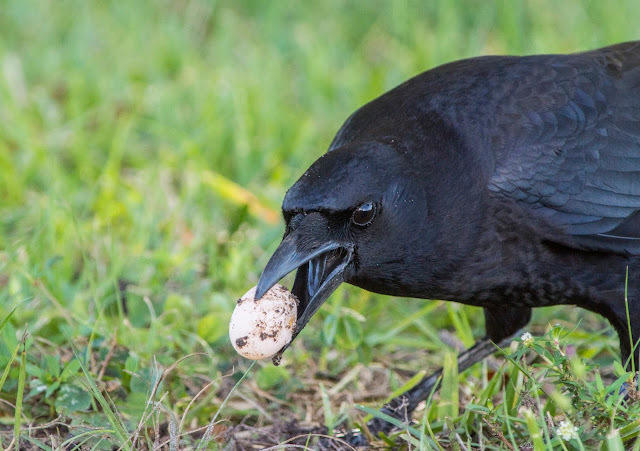 It was a very fascinating (and sad) saga where the crows watched the turtle bury the eggs, and then went to dig them out one by one. 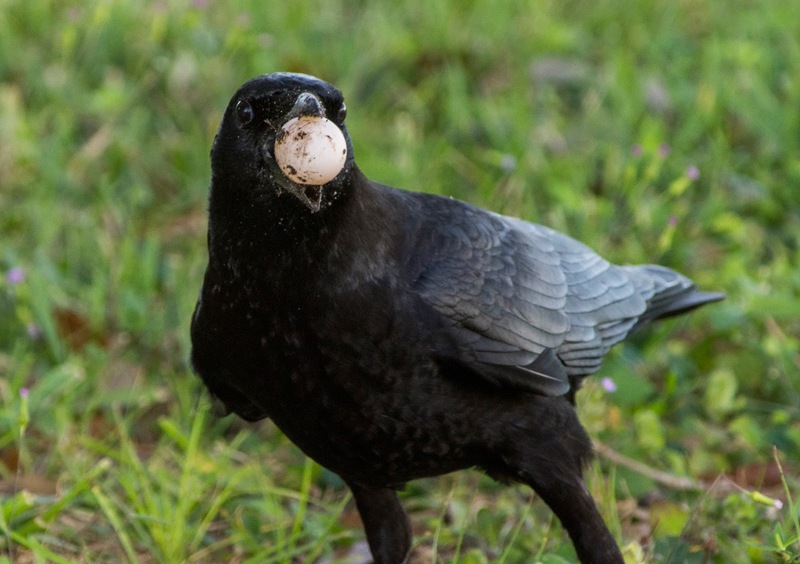 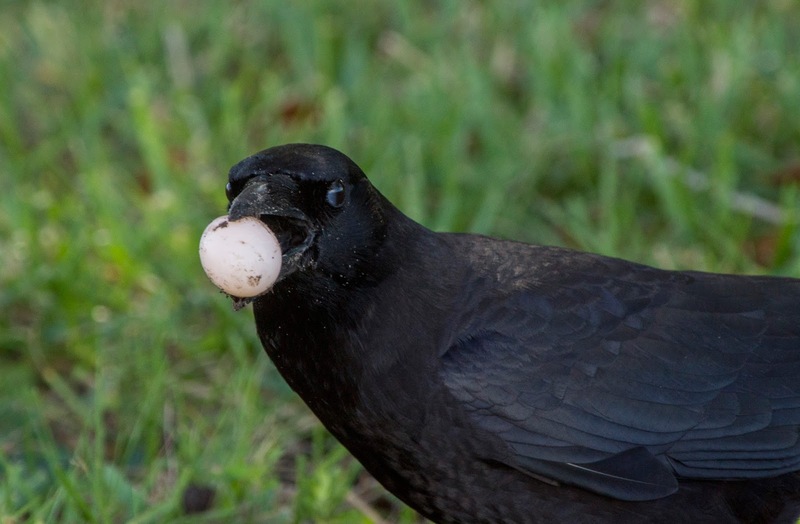 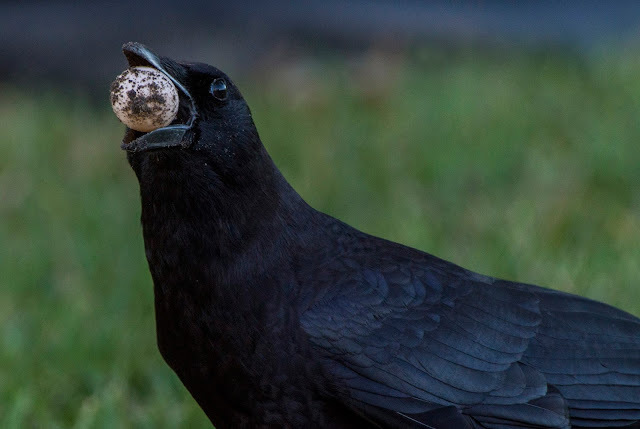 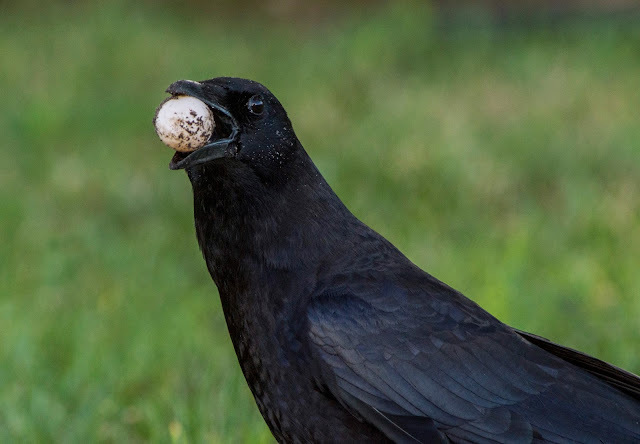 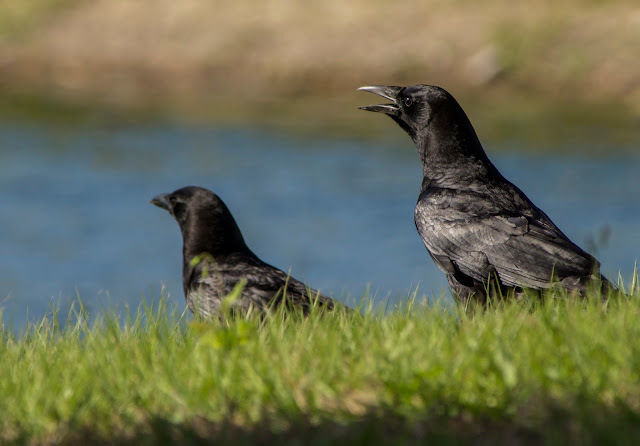 However, the two crows could not eat that many eggs all at once, nor could they trust each other if they left them in the turtle nest. 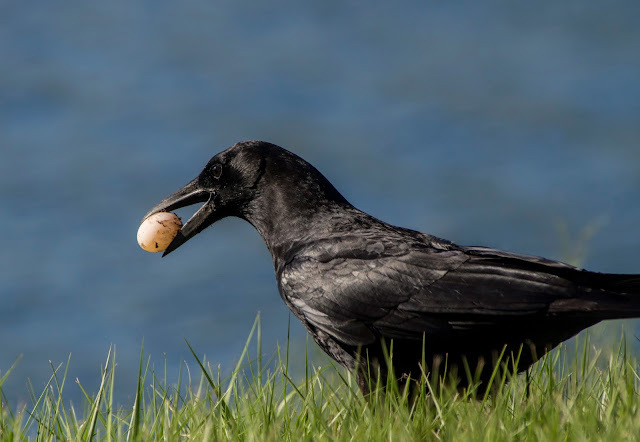 So, the crows took turns taking the eggs out, and then re-burring them around the field under patches of grass. They ate a few along the way too.